This building was built by Moses Sutton as a law office for attorney Thomas Cunningham. It was later used as a dental office by his grandson Arthur Cunningham. The building had other uses as shown below. In 1931 it was moved to 86 Library Avenue where it now stands. 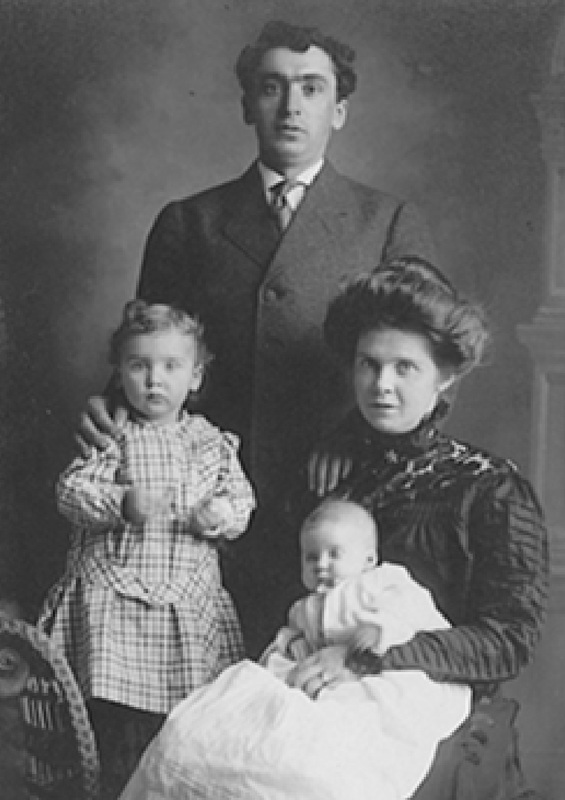 Geneva Katz was born in Warrensburg in 1910, the daughter of tailor Abe Katz and his wife Anna Carey Katz. Mr. Katz’s first tailor shop was in what would become the Cunning-ham dentist's office, corner of Main and Stewart Farrar Street (then School Street). He moved to what would become an insurance office at (now) 3857 Main Street. Geneva received her R.N. from Ellis Hospital School of Nursing in Schenectady. Her first job was at the Waltham Hospital in Boston. In 1949 she became the assistant administrative head of the Boston Floating Hospital and soon after became the administrative head. In 1963 she announced that she had made Boston University the beneficiary of a $100,000 life insurance policy to establish a scholarship fund for needy students.